Of all the issues which must be decided in a divorce, child support may seem like the most straightforward and easiest to deal with. After all, it is a simple matter of entering income information into a statutory formula to come up with a monthly support amount, right? Not exactly. There are issues which require special attention when calculating child support according to the guidelines, and even once you arrive at the guideline amount, that figure can be changed by the judge if convinced by either party to do so. Just as with matters of child custody, alimony and property division, Atlanta child support lawyer Melissa Strickland and her team at Buckhead Family Law devote the time and attention necessary to the issue of child support in your divorce, to ensure not only that your children are supported, but that you are treated fairly as the paying or receiving parent. Learn more about child support in Georgia below, and contact Buckhead Family Law to discuss the matter of child support in your Atlanta divorce. The Georgia Child Support Guidelines use an income shares model to determine child support. This model takes both parents’ incomes, the number of children to be supported, and other factors, and plugs them into a statutory formula to come up with a presumptive monthly amount that the noncustodial parent will pay to the parent with sole or primary residential custody. Buckhead Family Law can assist you in this process in a couple of important ways. First of all, we can help make sure that income is properly reported, not only by you, but also by your spouse. All income sources are supposed to be accounted for, including salaries, commissions, tips, bonuses, overtime pay, interest and dividend income, capital gains, income from annuities, unemployment benefits, and much more. With all of the worksheets, schedules and tables to complete and refer to, the task of calculating income can quickly become quite complicated. Also, when a spouse is self-employed or derives income as a business owner or investor, a sophisticated individual can find ways to hide or underreport income to avoid paying the full amount of child support they should. 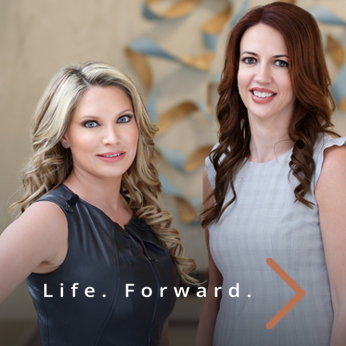 Buckhead Family Law has experience working with forensic accountants to trace assets and uncover a complete financial picture, even when a spouse is voluntarily unemployed or underemployed and not earning all that he or she could. It is also important to understand that the formula only arrives at a presumptive guideline amount. The court can deviate up or down form this amount when convinced there are special circumstances which justify a deviation, and that it would be in the best interests of the children. If you are seeking or opposing a deviation from the guidelines, we can help you prepare and present a strong case to support your position. Divorcing spouses may also agree on an amount that is different from the guidelines, subject to court approval. We can work with you and your spouse to negotiate a fair amount that adequately supports the children and is supported by facts so the judge will approve the deviation. To discuss the likely impact of child support in your Atlanta divorce, along with other essential matters, call Buckhead Family Law at 404-600-1403 to schedule a consultation with a knowledgeable and experienced Atlanta child support lawyer.